Mirvac’s Broadway Shopping Centre was ranked number one in Shopping Centre News’ Big Guns Awards 2013 for annual turnover per square metre (MAT/m2). Broadway took out the number one spot in the MAT/m2 category with $10,390/m2, an increase of 5.7 per cent on the back of a 4.25 per cent increase in MAT ($412.3 million), and one of only two Big Guns in Australia to beat the $10,000/m2 mark. Since 2009, Broadway has been Australia’s second most productive shopping centre measured by MAT/m2 for a centre over 45,000m2. 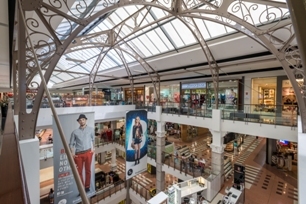 The move to number one follows the successful remixing of the centre during 2012, with Broadway adding the enviable line up of brands including, Apple Store, JB Hi Fi, Nike, Peter Alexander, Politix, Oxford, Lorna Jane, Pandora and T2.